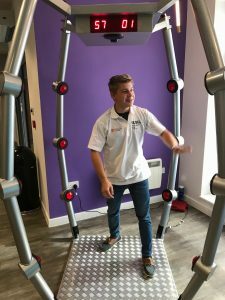 Our futuristic looking Batak Light Reaction game is a great way to test a players speed of reaction and agility and is ideal for many events including team building. 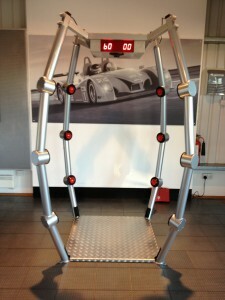 If you want a Batak style game with a difference then The Cage Light Reaction Game is the one for you! 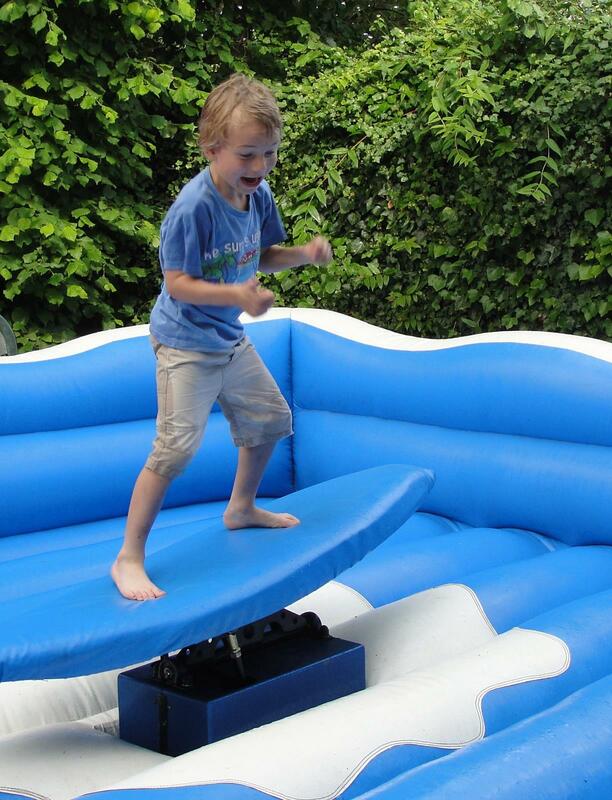 Its sleek compact design and ease of use make this a guaranteed attraction at any event. Players step inside, and the aim is to touch/hit the randomly illuminated targets on the 4 legs. You have 60 seconds to hit out as many lights as you can! The Cage Light Reaction game is also great fun for spectators too and its ideal for competitions! 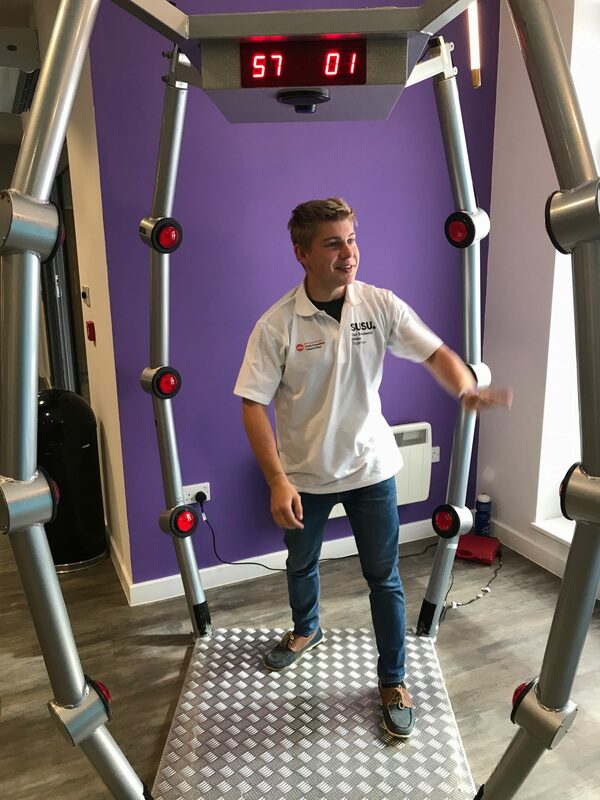 What sets our game apart from the regular flat wall Batak games is that the lights may be illuminated on the legs behind you as well as in front of you, so the game truly tests your reactions and peripheral vision! 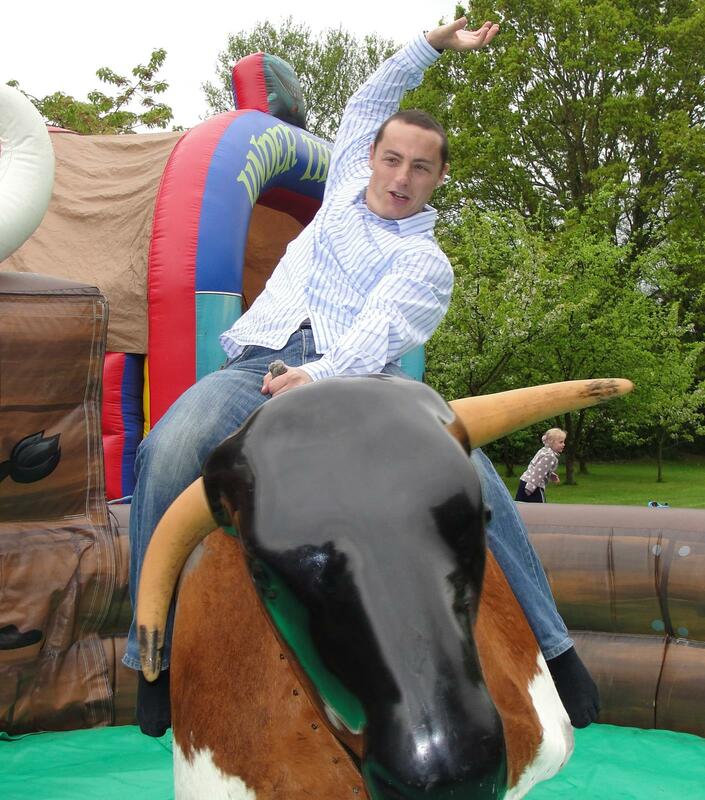 Our trained staff will fully set-up and dismantle this game and also stay to supervise this equipment and ensure your guests have a safe and enjoyable time. Is a Power Supply required? Yes, A 240V, 13 amp supply is required. 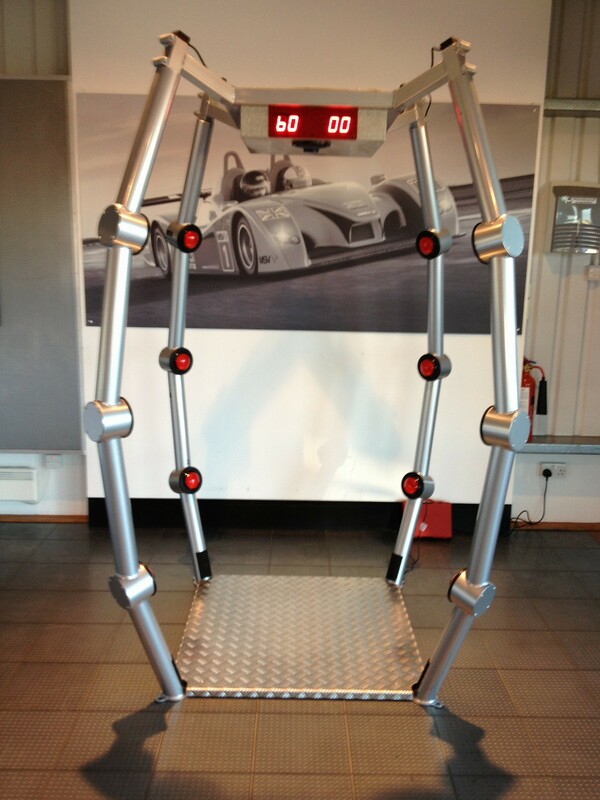 ‘The Cage’ Batak Light Reaction Game is ideal for Teambuilding events, Product Launches, Exhibition Stands, Parties, wedding receptions and many more events. 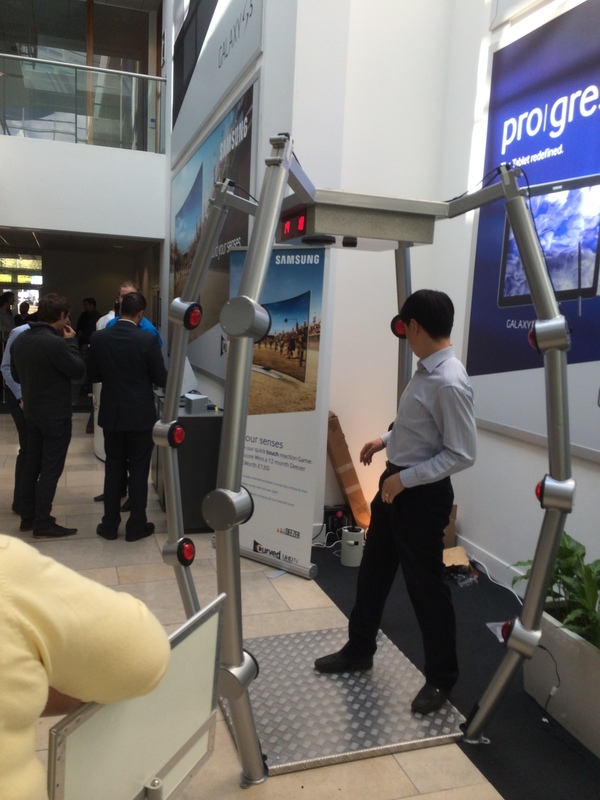 Take a look at our video of ‘The Cage’ light reaction game in action!